Probably too much of a departure. People just didn’t like them, which is understandable. Because when you make such a radical change, it is bound to be polarizing. Sure, when you look back on them today, they’re neat because of their details and nostalgia and all, but I could see how someone might have considered it a short, fat tub in 1935. It didn’t help that this was all happening during the Great Depression. Even people who could afford a new car didn’t want to be seen in something this conspicuous and modern. By-and-large, people tend to be conservative with their automotive choices, and that does doubly so when times are tough. So why would a company as big and smart as Chrysler come out with such an odd car? Well, their reasons weren’t as ridiculous as hindsight would lead you to believe. The idea was hatched by Chrysler engineer Carl Breer, who was inspired by watching geese and airplanes glide through the air. In fact, the very name “Airflow” was no accident. 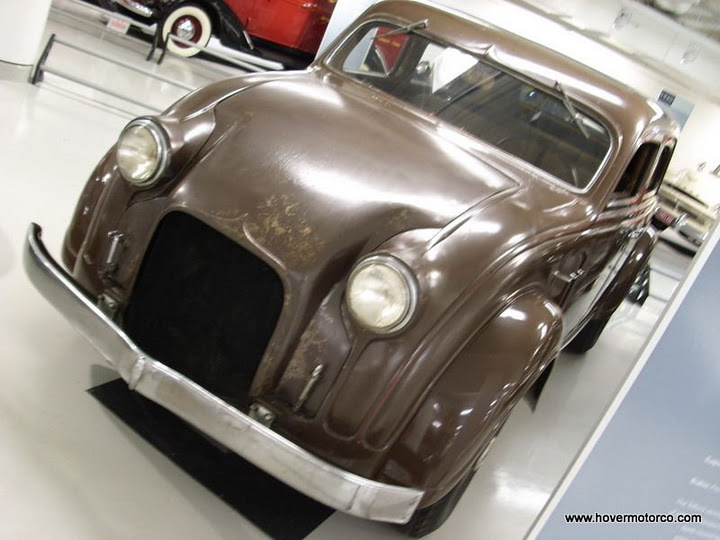 This was among the first cars developed in a wind tunnel, a practice that is mandatory today. The wind-shaped design process led them to build the Airflow as a unibody vehicle, which was also pretty radical for the time. Today, nearly every vehicle smaller than a full-sized pickup is a unibody. In the case of the Airflow, this configuration allowed the vehicle’s weight to be balanced more evenly, giving it a more pleasing, precise driving dynamic. To put this in perspective, if a contemporary car had 30-percent of its weight in the front, and the remaining 70-percent over the rear wheels, Airflows had close to a 50/50 weight balance. That’s exactly the ratio that the best handling cars in the world strive to achieve to this day. Airflows weren’t all Chryslers. Sister division DeSoto got in on the act, too. 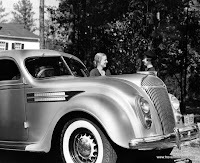 In fact, the entire DeSoto line was switched over to Airflows in 1934, but that only lasted one year. That’s probably a good thing, because hardly anyone wanted an Airflow, which could have crippled Desoto 27 years before they actually did cease operations. It probably didn’t help DeSoto that their Airflows were all six-cylinder, short wheelbase models, vs. the eight-cylinder Chryslers with a little added length. 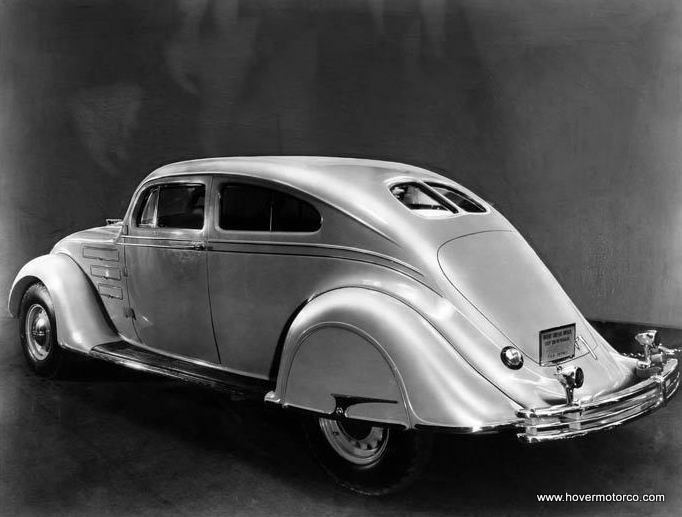 If a person was looking for “streamlined” in the 1930s, the stubby, underpowered version wasn’t going to be very appealing. To that end, DeSoto Airflows are pretty rare today. 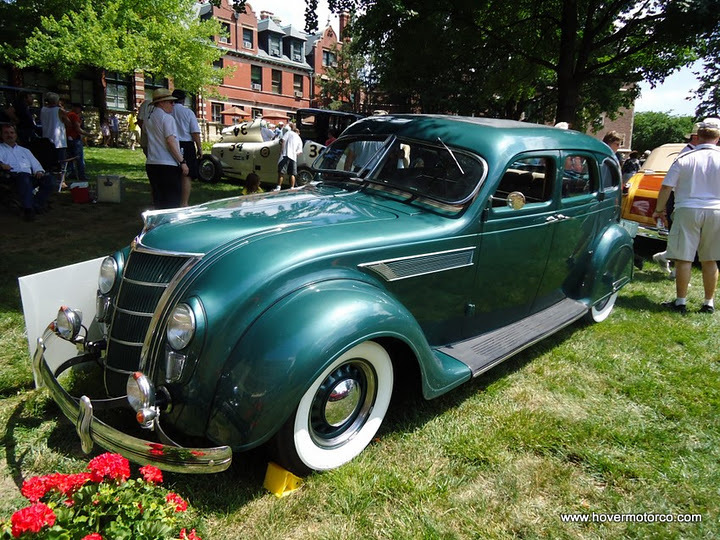 When last we visited Jim Raysik’s amazing car collection in Clinton, Mo., however, a nice ’34 DeSoto Airflow coupe was one of the stars. By the way, when you look at the pictures of that car, keep in mind that there were only 1,584 coupes even built in 1934. During the last couple of years of Airflow production, the car’s design was tweaked to more of a mainstream sensibility. That was mainly done by standing the grill up a bit and adding a trunk. 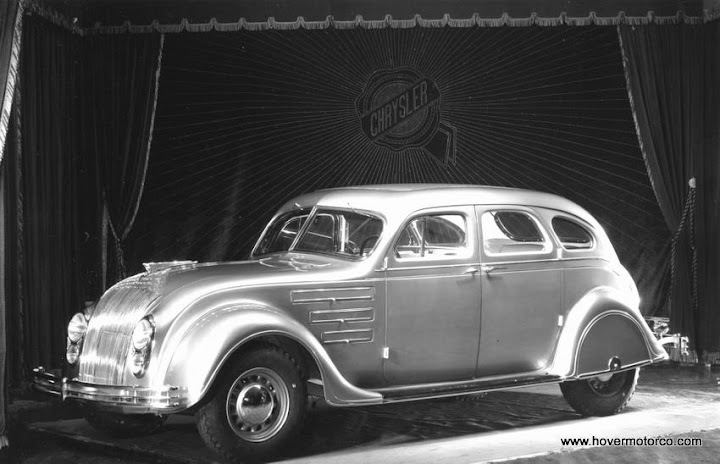 Meanwhile, Chrysler and DeSoto sold the Airstream alongside the Airflow in dealer showrooms in 1935 and 1936. The Airstream was supposed to evoke a windswept look as well, but it was essentially a conventional-looking car built with conventional technology. It proved to be much more popular with the buying public than the slow-selling Airflow. In spite of the Airflow’s well-publicized commercial failure, it has a pretty strong cult following today. 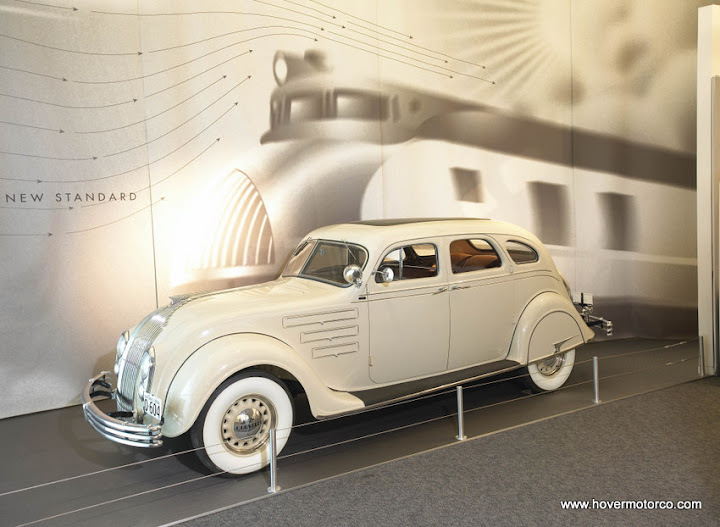 When we visited the Walter P. Chrysler museum a couple of years ago, the Airflow was on display front-and-center, and our tour guide gushed wildly over the car’s quality and features. They also had an Airflow prototype in the basement, which was a hideous brown thing. It was still fun to look at, though. And although you rarely see these cars at the local car cruises, I have encountered several guys who were really into them over the years. So now, I’ll leave you with a slideshow full of Airflows. I took some of them, some came from Chrysler’s media archives, some were snatched from Wikipedia. I’m not entirely sure that I’m the world’s biggest fan of the Airflow’s looks even today, but from a historic perspective, I do think they’re very interesting to look at. Many of the features that doomed the Airflow when it was new are commonplace on new cars right now, which is what makes it hard to imagine it being so controversial 77 years ago. not sure how i feel about the airflow as a car, but that oil tanker (?) is totally cool. Great article. I have a question, though. "To put this in perspective, if a contemporary car had 30-percent of its weight in the front, and the remaining 70-percent over the rear wheels, Airflows had close to a 50/50 weight balance." Did you mean to say: "...70-percent of its weight in the front, and the remaining 30-percent over the rear wheels..." ? 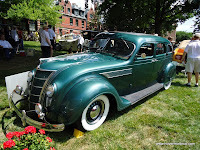 ^ You might think that, but in the case of a typical '30s car, it was the opposite. 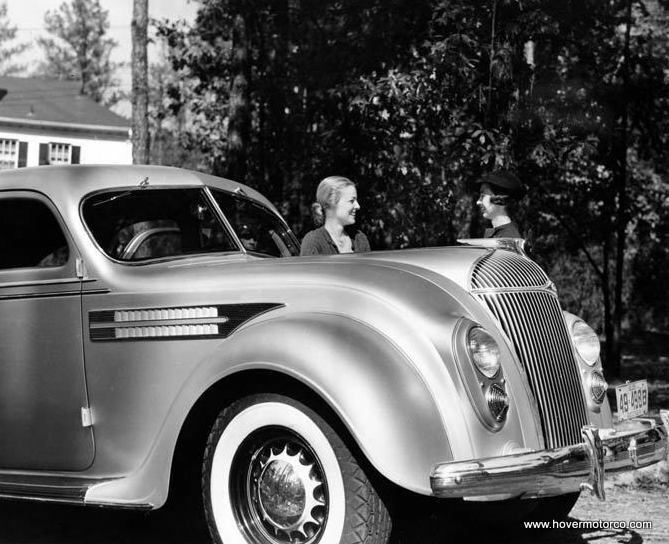 Think about a typical 1930s sedan. Yes, the engine is in the front, but really, that's it. Behind the is the entire wide body and all the passengers. There was more weight behind the engine in most cases. Well I'll be... I did not know that. I just looked at those 'thick' old cast iron engines, and assumed that they were twice as heavy as the later-to-come thinwall casting engines. That's a great slideshow of a car that could be considered ahead of it's time...definitely.